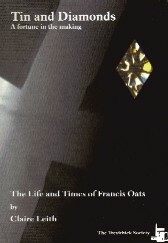 This is the story of Francis Oats of St Just. At the age of 14 Francis worked at Balleswidden Mine; by the time he was 20 he was a mine captain at Botallack and at age 54 he was managing director of De Beers. This fascinating account of his life was written by Claire Leith, his grand-daughter.